Time for a Wobbles type post. 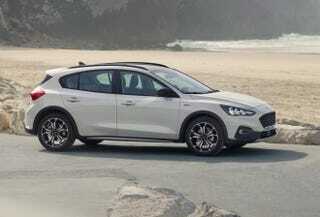 If Ford is smart and worried so much about margins, they’ll make performance versions of the Focus Active. It’d be a great way to cash in on parts already developed for the European market. Is a Focus Raptor a bit of a stretch? Sure but the original Raptor was too. If Ford makes the Crosstrek WRX and STI that Subaru won’t, they have a chance to make the same kind of splash that the original Raptor made.